Don’t forget to Subscribe…We appreciate it! How To Find More Keywords For your eBay Listing Title! #3) Use Google – then scroll down to bottom of page one for more related searches. Your title is your PRIME Real-Estate! Take the time to research all the keywords you can do draw in a buyer. You are not selling the product…you are selling keywords! 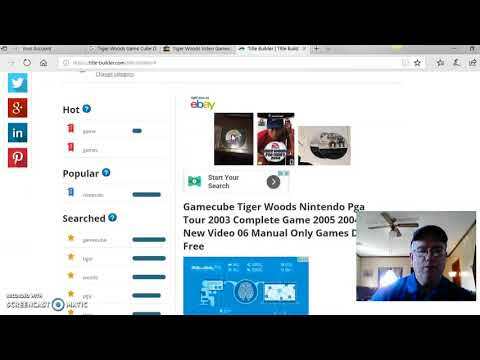 Please Share this video – How to Find More Key Words For Your eBay Listing Title – With the social media tabs provided by youtube. Thank you!